​Monday: PEP-RALLY! 11:00am-Noon in the outdoor Amphitheater (by the Sports Center Lawn) Get your Homecoming T-shirt, enjoy free food, & pick up some spirit items! Wednesday: PEP-RALLY! 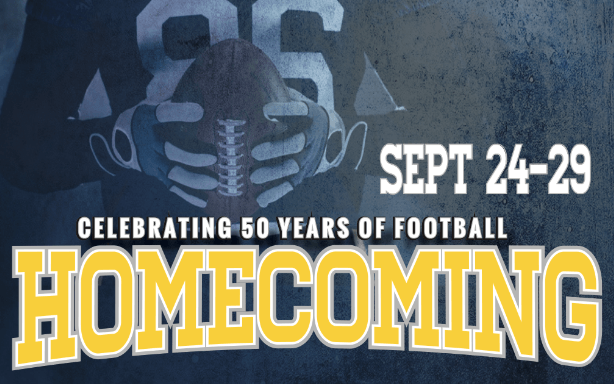 @Heintz Center 11:00am-Noon Get your Homecoming T-shirt, enjoy free food, & pick up some spirit items! Thursday: Throwback Thursday! 10:00am-until gone in the Atrium Pick up a Root beer Float from the RCTC Football Team! GO YELLOWJACKETS!!! “Throwback” Dance Party: Brought to you by the Music Technology Club! Travel back in time with a fresh mix of dance party hits! The dance will be from 6:00pm – 9:00pm in the Cafeteria. Don’t forget to dress up in the style of your favorite decade! Friday: Office Spirit Wars – Judging Day! Be sure to wear your YELLOWJACKET gear all week for a chance to win prizes! RCTC students get in to all sporting events for FREE with Student ID! Questions, reach out to Student Life at studentlife@rctc.edu or 507-285-7204. Please have your offices/department area decorated by Monday, September 24 to kick-off the week. Judging will take place on Friday, September 28, between 10am-Noon. Check out our Facebook page to see some photos from last year to help spark your creativity!